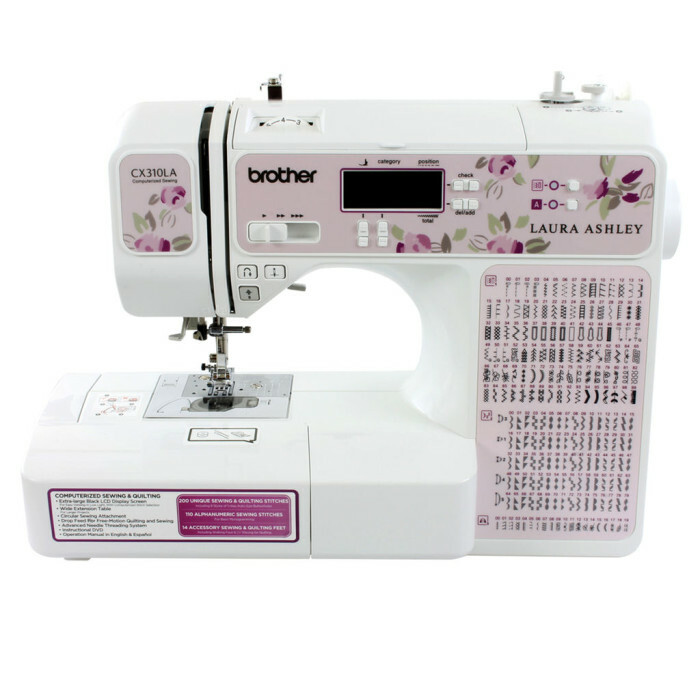 Brother Laura Ashley CX310LA is a very recent release from Brother. 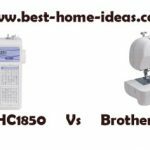 It is a quality sewing machine for sure, but the price seems to be a little bit high. Laura Ashley CX310LA is a new release from Brother. It isn’t even listed on Brother website, the information will be uploaded once the machine becomes available in all stores. CX310LA is also a limited edition offering, much like its predecessor which is the CX155LA which has already made its name in the US market. Now this one is an upgraded version of CX155LA. 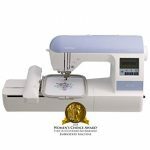 Brother Laura Ashley CX310LA comes with 200 built-in stitches which includes 8 one-step buttonholes. There are 2 built-in sewing fonts and 55 alphanumeric stitches for basic monogramming. You can easily thread the needle with just the touch of a lever, thanks to the automatic needle threader. Top drop-in bobbin and see through cover, adds a lot to the usability. The circular sewing attachment is a unique feature (this is not something that you will find in machines of this price, it is normally found on expensive machines). You can create precise circles with the help of automatic fabric pivoting. However the circle radius is limited between 30mm – 130mm. The machine has a large backlit display which is easy on the eyes. Information can be viewed on the LCD screen. There is a sewing start/stop button and speed control slider for sewing without the foot pedal. The presence of programmable needle up/down button makes it a quilters delight. You can drop the feed dogs to do free-motion quilting. You can sew cuffs and sleeves after removing the internal storage compartment. Changing to free arm mode is a breeze. Laura Ashley CX310LA comes with a lot of accessories as well. 14 sewing and quilting feet come included in the box (which is a real bonus). A hard cover is also included. There is no question about the quality of Laura Ashley CX310LA. Like its predecessor, this one too has excellent stitch quality and sews exceptionally well through thick fabrics like denim. The ability to sew multiple layers of denim is something that I look forward to test the power of the motor. This machine went through multiple layers with ease, there was no lag at all. The extra wide table gives you enough room to work with large projects. Less features (for the price). At the current price, Brother could have included lot more built-in stitches and an automatic thread cutter. Being a new kid in the block, it is also difficult to comment on the durability factor. 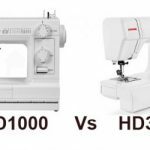 Even though I am very much satisfied with the performance and quality of Laura Ashley CX310LA, I am not so impressed with the current price. As of now, it is definitely on the higher side. 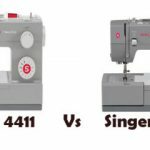 If the price doesn’t drop, I would consider Laura Ashley CX155LA as the better option unless you are really particular about the extra 45 stitches that CX310LA comes with. Even then, paying that much amount of money for just 45 extra stitches is not appealing to me. In simple words, I would buy Laura Ashley CX310LA if it is only around $100 – $120 more expensive than Laura Ashley CX155LA. Anything more than that is not really worth it. 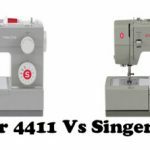 In that case, you will be better of with Laura Ashley CX155LA, as you can save the money for some accessories (in fact you can buy a lot of accessories for the saved amount and sometimes even another sewing machine). Moreover, CX155LA is already an established model which is tried and tested by a lot of sewers.